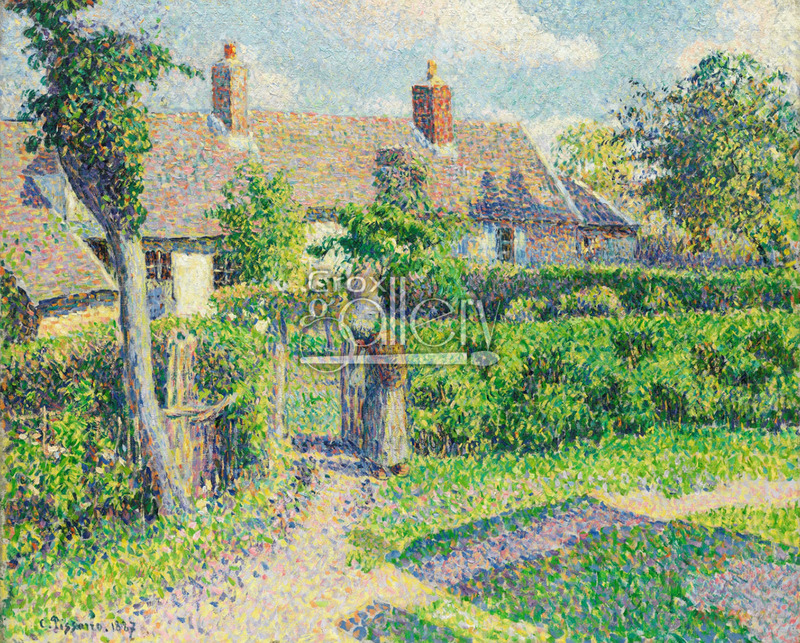 "Peasants' houses, Eragny", by Pissarro, oil painting reproduction. Oil-on-canvas painting entitled: "Peasants' Houses, Eragny", painted in 1887 by Camille Pissarro. 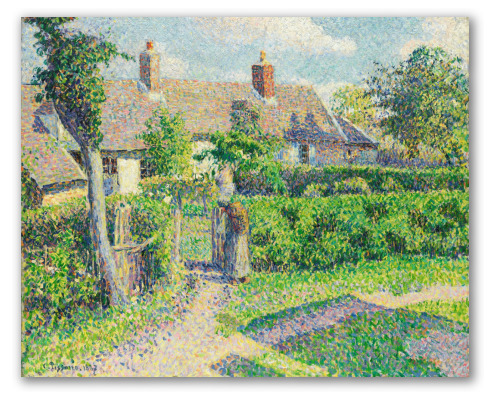 This is one of the few pointillist works by Pissarro, who only used this style for four years (1884-88). It is easy to see the distinctive mark of the artist in his use of vibrant colors to contrast light and shadow. This painting is currently found at the Art Gallery of New South Wales, Australia. Original size: 59 x 71,7 cm.